It warms my heart to see the kind of support that UVA has truly led on behalf of many universities across the nation. 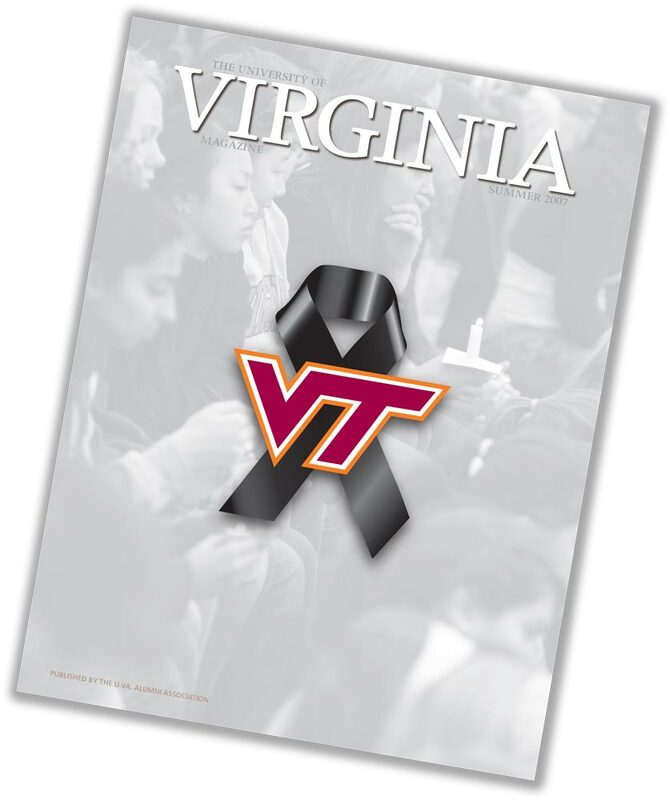 The magazine cover is a stunning tribute to your sister university and the recent tragedy. We are grateful beyond expression. I have sent the cover and inside articles to my entire board of directors and alumni chapters, because we all are proud to have the support of your alumni and entire university. You established a memorial fund at UVA to support us before we did that on our own campus. That speaks volumes. Please know that we are extremely grateful for the outpouring of calls, notes and gifts from UVA alumni, students and faculty. The magazine issue brings tears to our eyes. The University has given me a great many pleasures since I graduated. This cover tribute to Virginia Tech ranks very near the top of my list. I spent 48 years in the magazine business. Never did I see a cover that evoked the immediate care, sympathy and understanding than you did with this one simple tribute. Thank you for the simple and touching tribute to VPI in the Summer 2007 issue. Less is often more. Thank you for the cover and the eloquent statement by President John Casteen in the Summer 2007 edition. All of us have mourned the Tech tragedy, and this sense of community that you conveyed should be a small part of the healing for us and our many friends at Virginia Tech. You could not have selected a more fitting cover for your Summer 2007 issue. I knew it would bring me to tears, as well as bring to the forefront the strong community of support UVA has for Virginia Tech. On April 16, I was checking the news during my 5th-grade class’ lunchtime. I felt a true sense of loss, being a Virginian, a Wahoo and an educator, as I watched the events of that morning unfold. Later that week a cartoonist drew the VT pennant at half-mast. Then came the Hoos for Hokies bridge. Through all the press coverage and e-mails from friends, VT was in my heart and prayers. For once, being a Wahoo was not about being a rival of the Hokies; it meant being a staunch supporter of Virginia Tech. Thanks for showing us and reminding us, through pictures and the letter from Elizabeth Hart, why the University is held in high esteem throughout the country. Thank you for the compassion given to Virginia Tech, the “other university,” in its most trying of times. I enjoyed Coy Barefoot’s article on the Corner in the Spring 2007 issue. I must add a significant item which was omitted—the University News Stand owned by Harold Digges. In the earlier ’40s it was temporarily near the pool hall section, on the side of the building. In 1945 or ’46 it occupied the space on the left side of the bookstore next to the drugstore. Until the late ’50s, it was an important place because it provided out-of-town newspapers for many of the older faculty, including Dr. Newcomb, Dr. Clemons and much of the medical school faculty. Before it opened, Mr. Digges had their newspapers delivered to their homes. I was the delivery boy and also worked in the newsstand 1948-1951 while I was a student. At age 80 I have acquired a computer, which allows me a more legible way of communicating. I started at the University at age 16 in 1943 and received my M.D. in 1950. It was a wonderful experience for me. The story of the Corner reminded me of the University Diner and especially Alma Shifflett. During that period I was a regular customer. You could buy a $10 punch card that she kept in her cash register. A hamburger steak, three vegetables, dessert and a drink cost 55 cents! When you ran out of money on the card, she would turn it over and write the charges on the back until your next check from home arrived. You settled the debt, bought a new $10 card and started all over. She kept me alive over those years. If you were “in the money” you could get a T-bone steak for $1.50 and, if really well off, order a Grillswith—one of the memories I shall never forget. I am thoroughly enjoying the summer issue and the article, “Altered States.” I’ve read about UVA alumnus Raymond Moody for years. An interesting companion compilation might be paranormal activity people experience with the death of loved ones. Someone close to me was murdered some years ago and during the time between the murder and the trial some very unusual things happened to me that could only have come from my friend or “a deity.” I suppose detractors would say that these things were coincidences. I took comfort in these things, believing that they were reminders that death is not an end but merely a changed state of being. More recently a cousin of mine, who happened to be a renowned neurosurgeon, was killed in a traffic accident on her way home to Middleburg, Va. Another cousin attending to the estate reported some instances where she seemed to get some “supernatural help” and comfort. As one example, while cleaning the home, she suddenly got an overwhelming feeling of peace and tranquillity. In the final analysis, I doubt that “science” can either prove or disprove the phenomenon of near-death experiences. Opponents believe that they are the result of changing brain chemistry as the body is “shutting down.” However, even they must admit that there is a lot out there that our physical senses cannot detect. As just one example, astrophysicists have just discovered a new form of energy previously unknown called “dark energy” that may be as profound as findings by Einstein and Copernicus. Say what you will about people who were “near death,” the simple fact remains that none of these people died. There is simply no good reason to believe that we’ll be any more alive after we die than we were before we were conceived. I, for one, have no further plans. My research has been at the core of the VCCM since 1997. In 1999, I was responsible for obtaining over $50,000 in funding for the VCCM, which was used in part to create new facilities in Cabell for multichannel audio research. The software I’ve written is used in several VCCM-supported classes. My work has been presented at conferences all around the world. As I sit here in my office, after hours, preparing to present at a conference in NYC this week, I can’t help but scratch my head. Frankly, I’m beyond surprised that the UVA Magazine would be so short on facts and details. 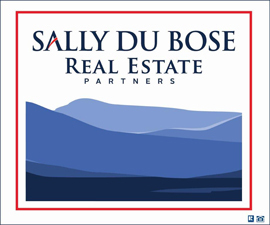 First, I wish to make it clear that I have a personal interest in the proposed wind farm in Highland County, Va., as my immediate and extended family own the property on which the wind farm will be built. I have found it very interesting to note who has been opposed to this wind farm, as they are the very group of environmentalists who say we need clean renewable energy. There are many facts that they choose to overlook. Four years of monitoring the wind at the two sites have shown that it is among the best in the eastern U.S. and is more than sufficient to make the project financially feasible. Radar studies at the two sites have shown that the migrating birds in the area migrate at a height above the tallest blades. The United Kingdom Royal Society for the Protection of Birds has endorsed wind energy. The Audubon Society has endorsed wind power with protection of habitat, and these sites will not disturb any habitat, which is under much greater threat from greenhouse gases. One site is in the middle of 1,700-plus acres and the other is in the middle of 2,000-plus acres, so anyone complaining about the noise will obviously be trespassing on private property. Any necessary roads will also be on private property. Power lines are already crossing the property involved. Had not the owners of the property allowed these power lines to be constructed years ago, many in the area would probably not have electricity. Europe has greatly outpaced the U.S. in the development of wind power and currently generates four times as much energy from wind as the U.S. The European Union has set a goal of generating 20 percent of power from wind by 2020. Those who say that the wind farms should be built off-shore will find that another group of so-called environmentalists are fighting even this concept. Ted Kennedy, who loudly claims to be an environmentalist, opposes the building of a wind farm in Nantucket Sound because it will spoil his view. The towers will be six miles out, and when viewed from the shore, will have the height appearance of your thumbnail with your arm outstretched. As to the view, I have seen the wind farm in West Virginia and I personally find the towers very graceful. They are certainly more attractive than the power lines already in the area or the smog over our major cities. What this all boils down to in the final analysis is a group that I refer to as hypocritical environmental NIMBYs; we need renewable clean energy to reduce greenhouse gases, but Not In My Backyard. I am writing in reference to the article regarding the wind power controversy. I completely agree with Rick Webb and appreciate you sharing that perspective. Simply finding alternative ways to fuel our rampant consumption of energy is not going to solve our energy crisis. No matter how clean the energy, the sheer demand for it is so great that the infrastructure around obtaining the energy is going to leave a large and unsightly footprint on the planet (in this case, an array of towering machinery on our beloved Appalachians). The answer, in my opinion, is to curb our demand for energy, thereby decreasing the overall need for energy production, whether it comes from coal, wind or elsewhere. It’s time we realize that even though we may drive hybrid-electric cars and only use energy-efficient lightbulbs in our homes, we still need to only use the car when necessary and turn off the lights when they are not needed. True environmentalism is recognizing that one cannot be an environmentalist without also being a minimalist. Being prudent in our assessment of erecting wind turbines is part of this. I had the pleasure of returning to the University for Reunions Weekend 2007. 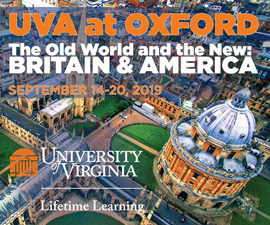 I highly recommend this weekend—it is a wonderful series of social events that is planned to perfection by Alumni Hall. After walking down the Lawn with my classmates during the Lawn Procession, President Casteen spoke. He informed us of the many truly impressive achievements the University has made in recent years, despite the declining state tax dollars directed to UVA—currently only 8 percent of the University’s operating budget. He noted that greater support will be needed from alumni to maintain and enhance the University’s stature in academe. The president was followed by Ronde Barber, co-spokesperson for the Barber Challenge. He and his brother, Tiki, well- known NFL players, have pledged $1 million to the current Campaign for the University of Virginia. Half of their pledge will be donated as matching funds for first-time alumni donations. I was surprised to find out that despite the incredibly high levels of satisfaction that our alumni have with their alma mater, only 25 percent have supported UVA financially. The Barbers’ main message: “One gift. Any size. Every year.” Their emphasis: every year. That is, it is important that we alumni give back to the University on a consistent basis, regardless of the size of the donation. If you are like many people these days who have a hectic lifestyle, you may intend to give back to the University but never quite seem to get around to making that first donation; or, if you are like me, you’ve done so in fits and starts. I bring this all up to make a suggestion to my fellow alumni. I set my donation up on an automatic monthly bank draft. Once established, you have no paperwork to handle and nothing to remember (or forget)—it’s done for you automatically. When I see my monthly bank statements, in fact, my “UVA Donation” is the only debit that makes me smile. I am sure my donations are meager compared to most, but they are, and will be, consistent. The Web address to do so is www.alumni.virginia.edu/uvafund/installment.asp. I had hoped that UVA Magazine would not contain the political biases infecting most of the mainstream media, but the Summer 2007 issue destroyed my hopes. In the article titled “Promises Kept,” the authors included the phrase “the Bush administration’s War on Terror.” This is a mantra repeated over and over by the Democrats and the mainstream media. One of the Democrats seeking the presidency claims there is no “War on Terror.” In fact, there are millions of radicalized Muslims preaching daily that their goal is to destroy Israel, the United States and all other infidels. We most definitely are in a war of survival against these terrorists. I am thankful that we have a leader with the courage to take this fight to the enemy. The article “Taking the Temperature” highlights work being done by various members of the environmental sciences department. However, I did not see any mention of the work done or views held by Patrick Michaels. Could that be because Michaels is a skeptic of the view that man’s activities are causing global warming? I did not see any mention in the article that there are many scientists who hold views similar to Michaels’. I am not surprised to see political biases in the UVA Magazine. The city of Charlottesville voted almost 4 to 1 for Democrat Jim Webb over UVA alumnus George Allen. This is a very good indicator that the UVA “family” has a huge tilt toward Democrats and away from Republicans. I would prefer that you keep political opinions out of the articles. However, if that is not possible, then at least include the opposing views. Not all UVA alumni are left-leaning Democrats! The editors strive to present a balanced perspective and appreciate feedback from alumni who believe we’ve missed the mark. A feature story about Patrick Michaels appeared in a previous issue of the magazine and is available at www.uvamagazine.org. —Ed. My comment is regarding the “Great Dishonors” article and protecting the spirit and intent of the First Amendment. My perspective is conservative. I continually hear how esteemed institutions of higher learning have little tolerance for beliefs and discussions from a conservative perspective. This has manifested into “politically correct speech,” with many colleges and universities having lists of words and possibly topics that are not tolerated on today’s campuses. I have also read that such policies have gone so far that administrations are tolerating “noisy”—or as they would characterize themselves as “offended”—students or groups tossing conservative newspapers away or shouting down speakers or completely preventing on-campus discussions from conservative groups. I would hope that UVA does not have such a list of “politically correct” words, subjects or policies, for if it does, the University should award itself the “Great Dishonors” every year until such practices cease and the University has the courage to support an open and wide range of thought and beliefs. Like many members of the wider University community, I was disappointed that Dean Edward Ayers has decamped for the University of Richmond. It would have been interesting if you had printed his salary at UVA and his prospective Richmond salary. I’m reasonably sure that the Richmond and Charlottesville papers carried these figures. I would also be interested to know what the University pays the football and basketball coaches as compared to President Casteen. In other words, I think that the University is in danger of getting away from its core intellectual tasks with an overemphasis on intercollegiate athletics. A place in every heart. At the dear old UVA.